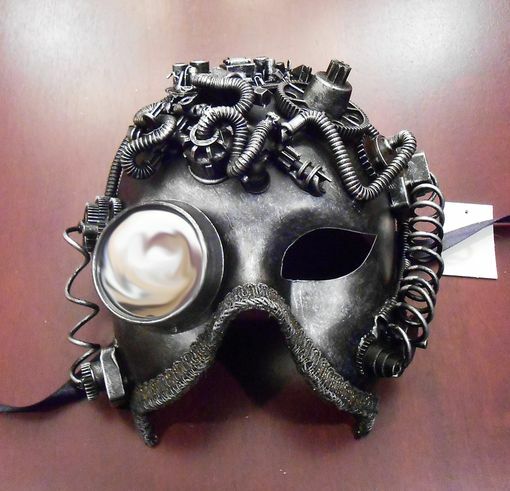 Arco steam punk mask is full of gears, wire and computer chips. Accented with a reflective mirror goggle over right eye. Secures with black ribbon ties.